On April 8, 2019, Eric Swalwell (38) officially launched his candidacy for the Democratic nomination. 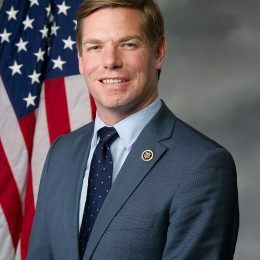 Swalwell has been the US House Representative for CA-15 since 2013. A Florida man has been arrested for threatening prominent Democrats Cory Booker, Rashida Tlaib and Eric Swalwell. ... charged for allegedly making threatening calls to three Democratic members of Congress, U.S. Reps. Rashida Tlaib and Eric Swalwell and Sen.
Evanston is known nationally for its activism and the 2019 democratic primary election is no different. Do you want to help volunteer in Evanston for Eric Swalwell 2020 Presidential Nomination? We’re here to get you connected, organized and involved. Come to our next political committee meeting, fill out the form below or email us at EricSwalwell@EvanstonDems.com.